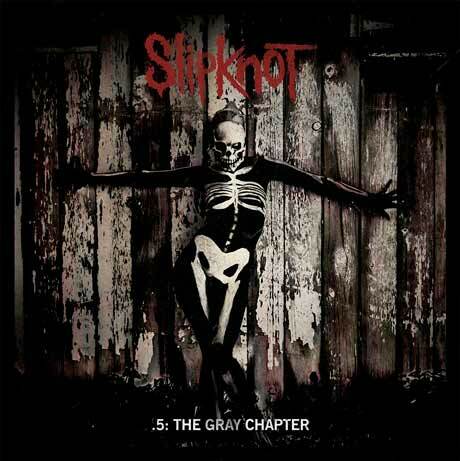 Slipknot begins .5: The Gray Chapter, their first album after a death and the departure of two original members, with the declaration, "This song is for the dead." It's a fitting dedication, in tandem with the album title, to deceased bassist Paul Gray, whose death and the resultant emotional fallout serve as the muse for many of the album's lyrics. For all of the weird industrial flourishes in the opening track, Slipknot waste no time kicking it back to 2001's Iowa, the heaviness of which oozes throughout while the band's subsequently learned songwriting skills prevent it from getting too messy. This is both a blessing and a curse, as part of the appeal of the Iowans' quintessential album was its relative (remember, we are talking radio metal here) chaotic nature. Still, it's hard to deny the pummelling of "Sarcastrophe," "Lech" or "AOV," the latter of which features a Trivium-esque chorus. "Skeptic," perhaps the most direct tribute to Gray, is another standout, with its chorus of "I can't let you disappear; I will keep your soul alive if I can't have you here"